DREs, Principals, Priests, Coordinators, Teachers, and Catechists. 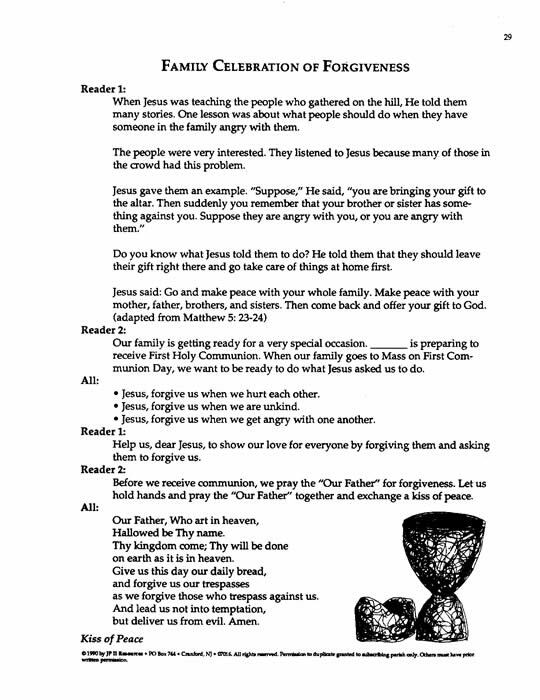 ¥ Administer Communion preparation programs for children. 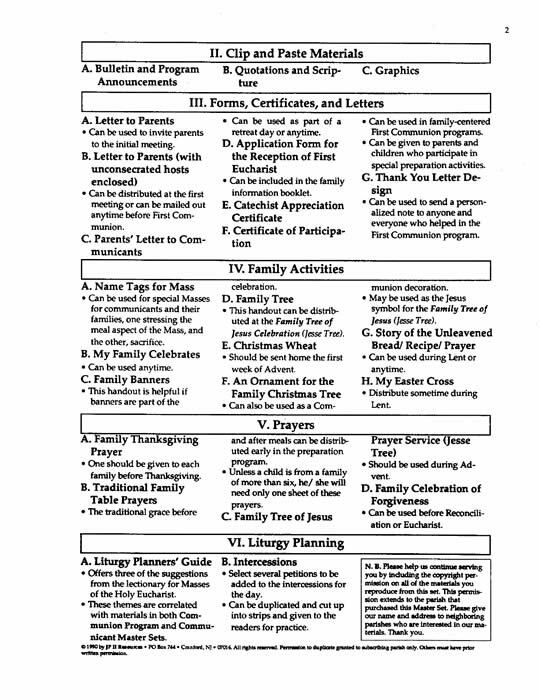 * See Family Information Booklet in Spanish, Folletos para Familias. 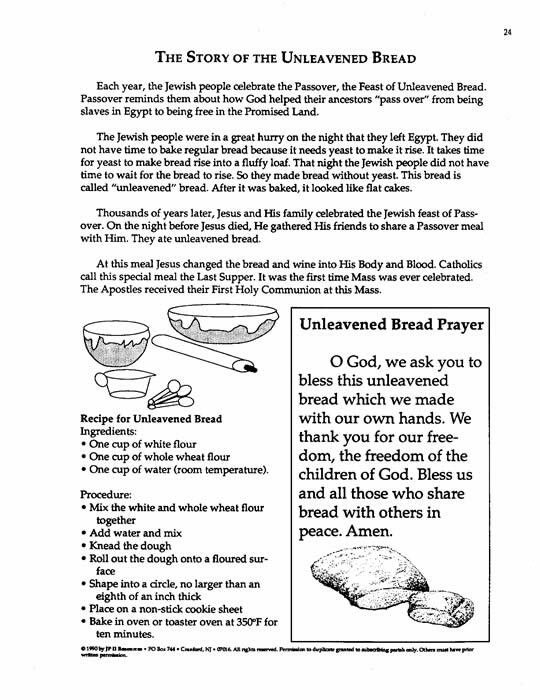 ¥ Bread recipe and celebration. 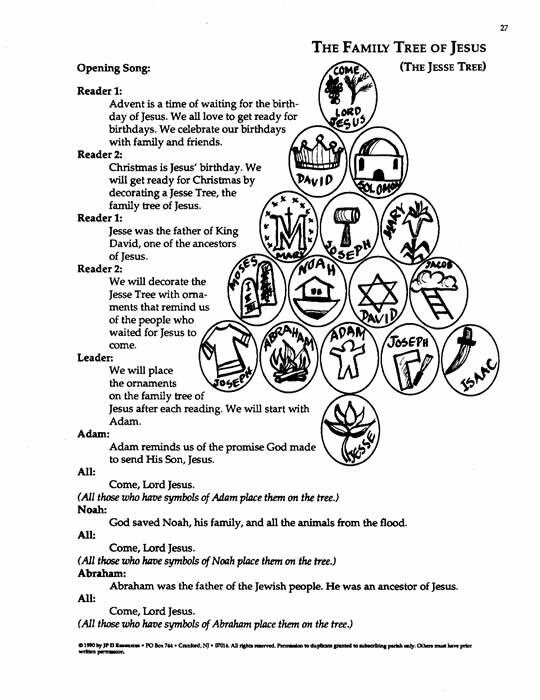 The Communion (Amen) Pin (shown at top right) information is available by clicking. Your purchase (below) will enable the placement of The Communion Program MasterSet PDF on your computer. You will receive an e-mail to enable your immediate download for the set.